IMPORTANT - Cardinal Sarah: "Detachment of doctrine and pastoral practice is Heresy." 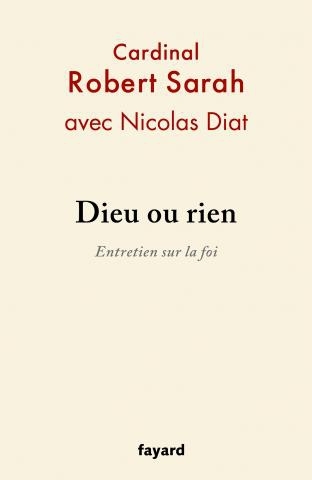 French publishing house Fayard is publishing a book with an interview with one of the most impressive Cardinals in the College, the recently-named Prefect for Divine Worship, Cardinal Robert Sarah. 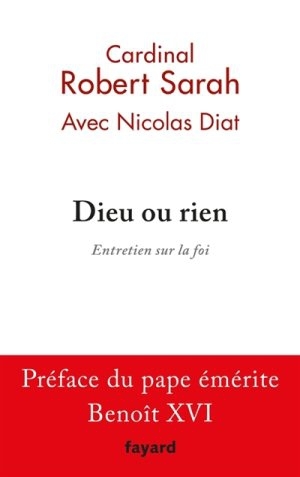 "Either God or Nothing" (Dieu ou rien) has the very interesting subtitle "Entretien sur la foi" (Conversation on faith), which certainly calls to mind the groundbreaking book-interview of another Cardinal published three decades ago -- Rapporto sulla fede (Report on the Faith, published in English as... 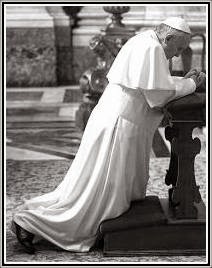 The Ratzinger Report). 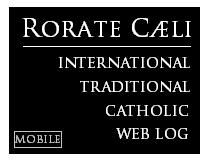 "The idea that would consist in placing the Magisterium in a nice box by detaching it from pastoral practice -- which could evolve according to the circumstances, fads, and passions -- is a form of heresy, a dangerous schizophrenic pathology. I affirm solemnly that the Church of Africa will firmly oppose every rebellion against the teaching of Christ and the Magisterium."